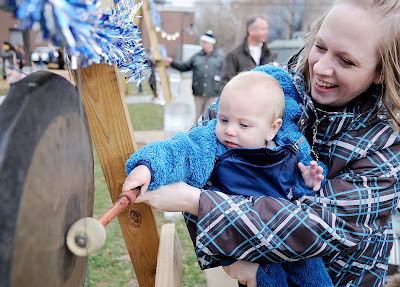 This is my first New Years Eve in State College and I got to cover the festivities in town. 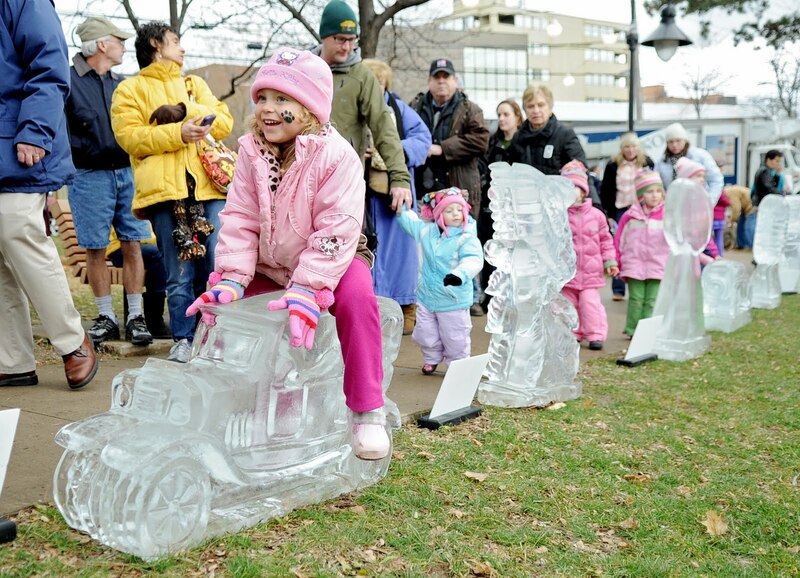 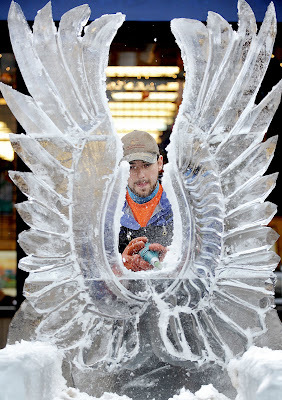 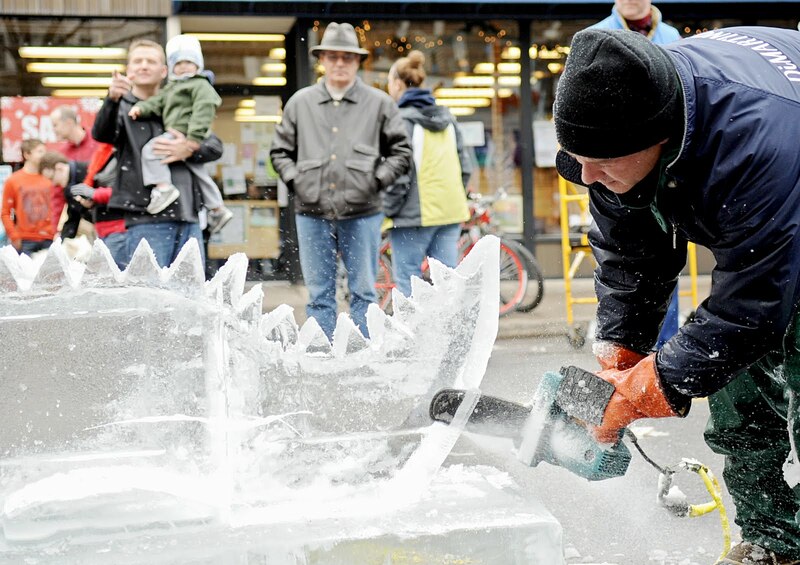 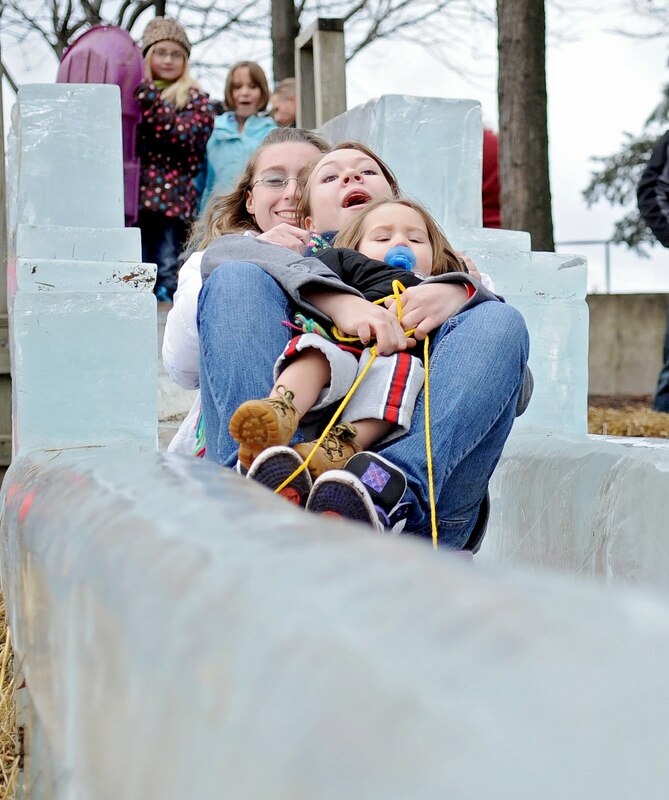 The Central Pennsylvania Arts Fest sponsors the First Night State College festival which features Ice Sculptures, concerts, resolution exhibits and more. Started out with the large ice sculptures that were still having their finishing touches added. In the parklet visitors could speed down the Russian Ice Slide. 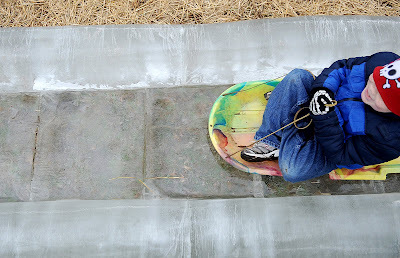 Looked like a lot of fun, I was jealous I didn't get a chance to go down! This mother helps her 5 month old son bang the gong to ring in the new year. 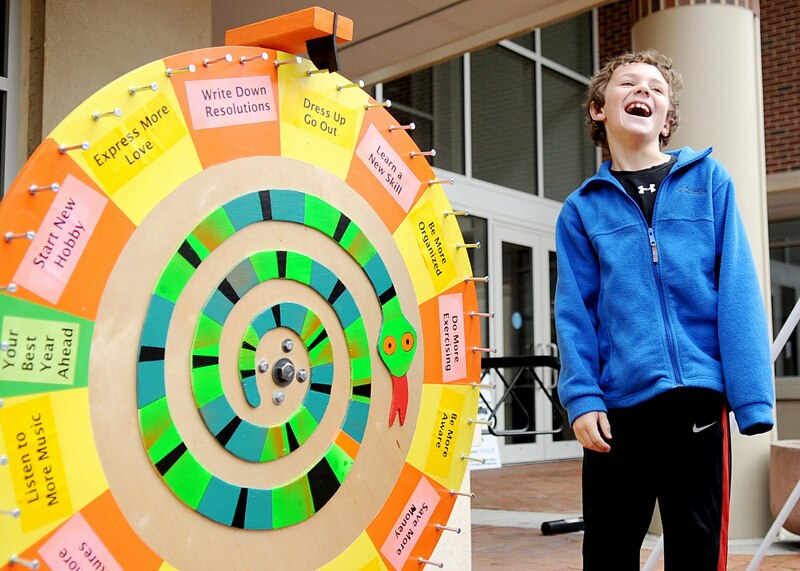 "Dress up Go Out" was the suggestion this youngster got from the wheel of fate. 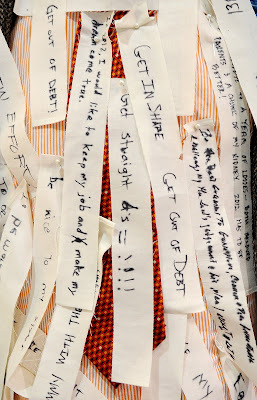 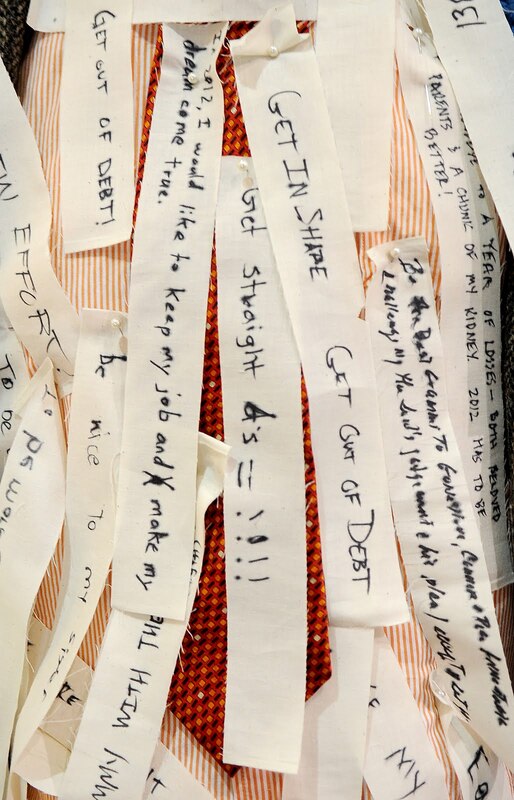 Visitors could write regrets, or resolutions onto fabric and pin it to the burning man sculpture. 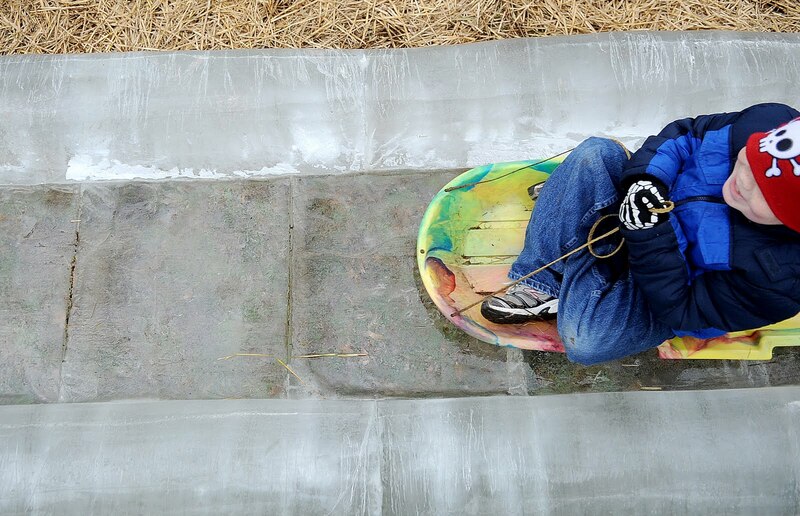 Later in the night he'll be set a flame. 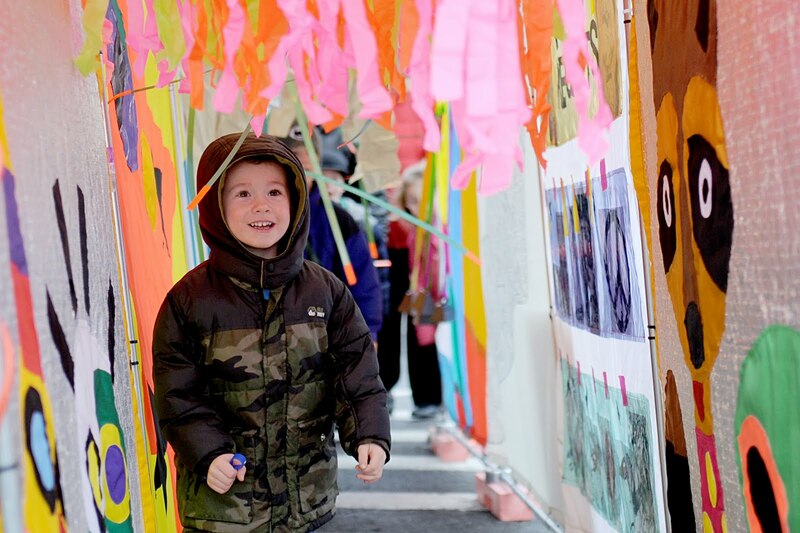 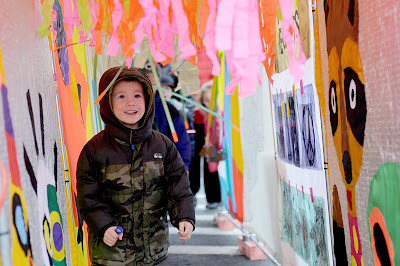 The festival is a unique experience for people of all ages.